Marked by non-repeating patterns and intricate details, these wallcoverings and wallpaper double as eye candy for your living room. From hand-painted details to a playful take on cobblestone masonry, the patterns gracing the wallpaper and wall-coverings that follow offer a delightful punch of summery color. Each was selected from a member of The List, the destination for all things Surface-approved. Want to join The List? Contact our team to find out how to apply. 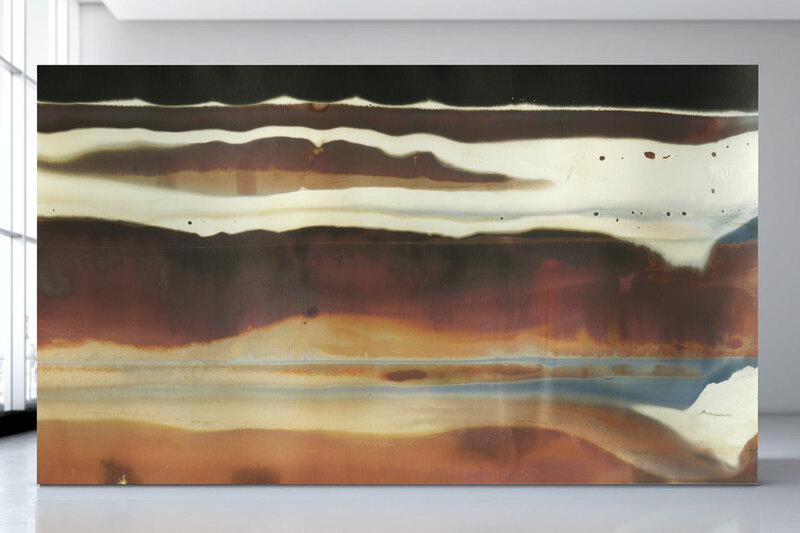 This pattern is the result of chemical experiments on silver photographic paper, which create sweeping colors and shapes that evoke a sublime, undiscovered vista. Flavor Paper’s award-winning Femme Power collection lives up to the brand’s “not your grandmother’s wallpaper” maxim (unless your grandmother happens to be an ultra-cool proto feminist). This print by designer Katie Stout brings out the softness of the original pastel watercolor while capturing each figure’s playful details in all their glory. 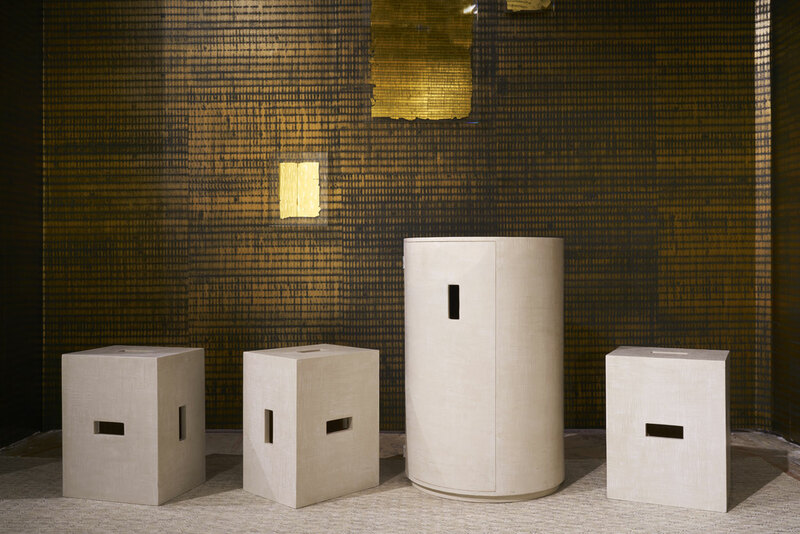 A pared-down take on cobblestone masonry, this pattern is screen-printed on formaldehyde-free FSC-certified wood panels. 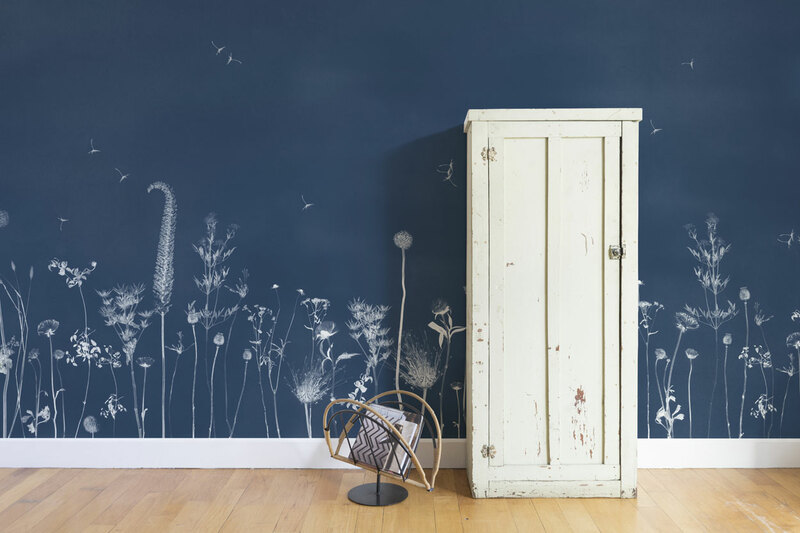 Look closely for subtle changes in its pigments, which create a non-repeating, eye-catching design. This enchanting pattern, akin to a summer field in bloom, is available in four colors, including azalea, thistle, wildflower, and lavender, shown here. 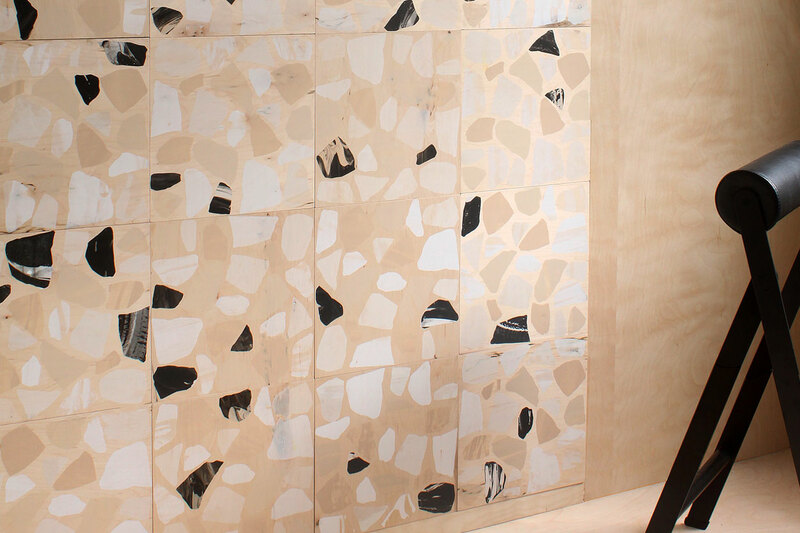 This hand-painted wallpaper, called Armonía (the Greek word for“harmony”), channels the earthy energy of the Brooklyn-based design studio that created it. It elicits the sensory experience of a seaside, from the softness of the waves to the silkiness of beach pebbles. 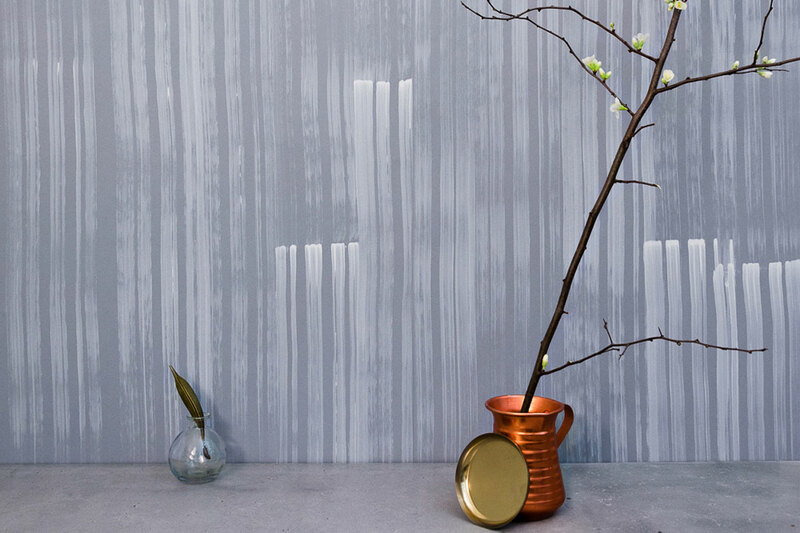 Named for and inspired by the abstract painter Agnes Martin, this shimmery yet stark wallpaper is made by hand using marble dust brushed with metallic glaze. 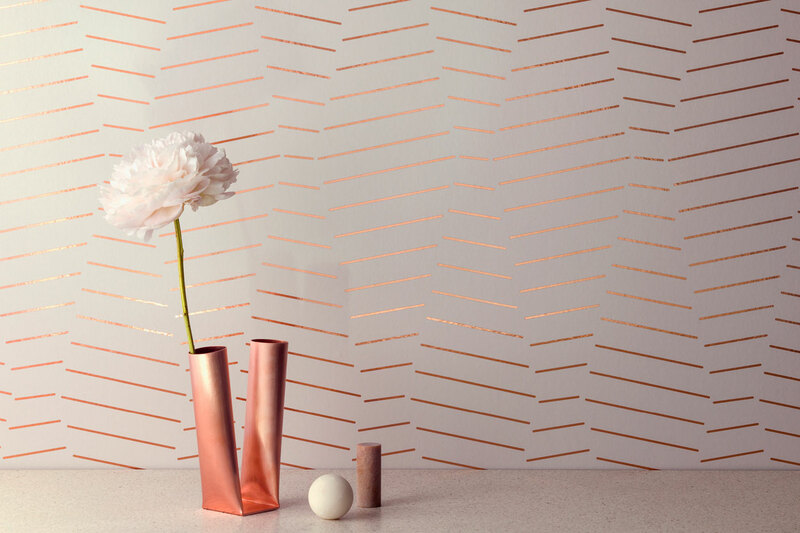 Created in collaboration with Brooklyn-based interiors firm Me and General Design, this wallpaper’s diamond pattern is meant to visualize kinetic energy with parallel lines that appear to shift. 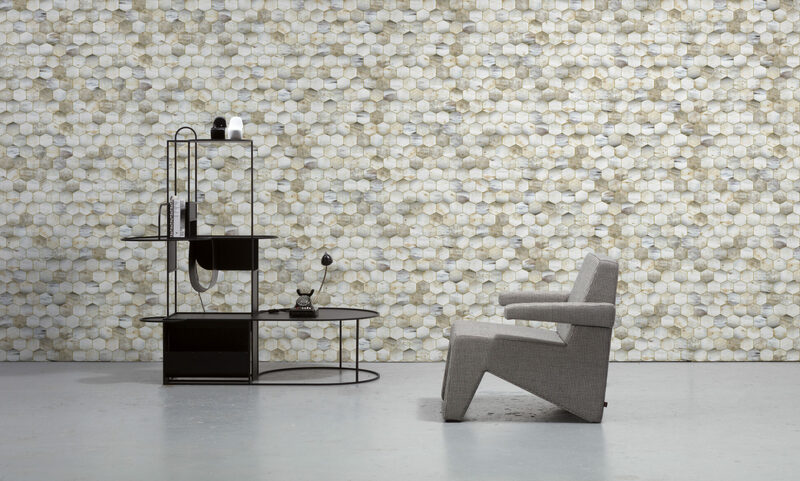 The honeycomb-like pattern adorning this wallcovering looks a lot like the real thing. Its quiet, muted white-and-gray hue is one we’d welcome into our living room.